For Imo State to be salvaged from further ruin there is need to think outside the box. This was disclosed by the governorship candidate of the United Progressive Party in Imo State, UPP, Hon. Tony Nwulu. 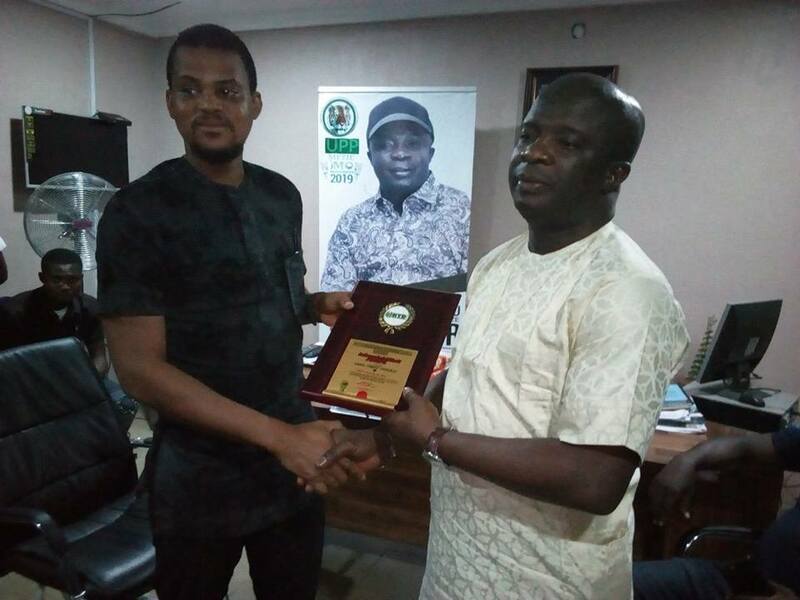 Nwulu spoke in Owerri at the weekend when he received hundreds of youths who conferred on him an award of honour in recognition of his immense contribution to youth development in the country. The Federal lawmaker who had assured that 80% of Imo youths would hold key positions in his government, expressed regret that the State have the highest number of educated unemployed youths. He said for Imo State to thrive and prosper rapidly, youth employment is key, assuring that his administration in its first tenure will employ 2,500 youths from each of the three geo political zones in the State through the establishment of three Development Centres. He said in a fast changing world where competition is high, Imo youths will be "exported" out of the country to acquire the required exposure to be able to compete with the challenges of a digital world. The Governorship hopeful expressed worry that successive governments in the State failed to evolve a master plan to boost youth development, stressing that his desire to change the trend were part of cumulative factors that led him to initiate the Not Too Young To Run bill on the floor of the House of Representatives. The bill was signed into law by President Muhammadu Buhari. Nwulu said "I will make our youth self reliant because no government in Imo State, past and present, has a master plan for youth development and its so bad that the World Bank can't give loans to Imo State" . He said Imo State has no business to be a classified a poor State on the grounds that the State is endowed with enormous human and material resources that would enable it catapult to the zenith of economic development. He also assured that a UPP led government will create a Night Economy in Imo as obtained in advanced countries and channel funds into establishing ICT hubs and focus attention on education. According to him, Imo State can become the ICT hub for Africa if the right measures and mechanism are applied to achieve it. On the sorry state of workers in the State, he promised that their allowances and salaries will be received as at when due, assuring that Imo State will witness a massive turn around as he has outlined workable policies that would be in conformity with Sustainable Development Goals of the United Nations.